You know that feeling when you wake up and get breakfast in bed? Well, that’s pretty close to how I feel when I get an email with images from one of the weddings we were part of. The proverbial bite of decadent french toast is when I open the images and they immediately bring a smile to my face. 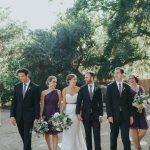 So excited to share the images from Jen and Brandon’s wedding at Lake Arrowhead Resort a few weeks ago! Jen and Brandon got married in the gorgeous outdoor setting at the Lake Arrowhead Resort in Lake Arrowhead. If you’ve never been to Lake Arrowhead, it is about an hour or so out from San Diego and is absolutely gorgeous. Like a little oasis just outside the city. Working with Jen was super easy, and she was definitely a chill bride. She went for a natural look that accentuated her beauty and her bridesmaids the same. 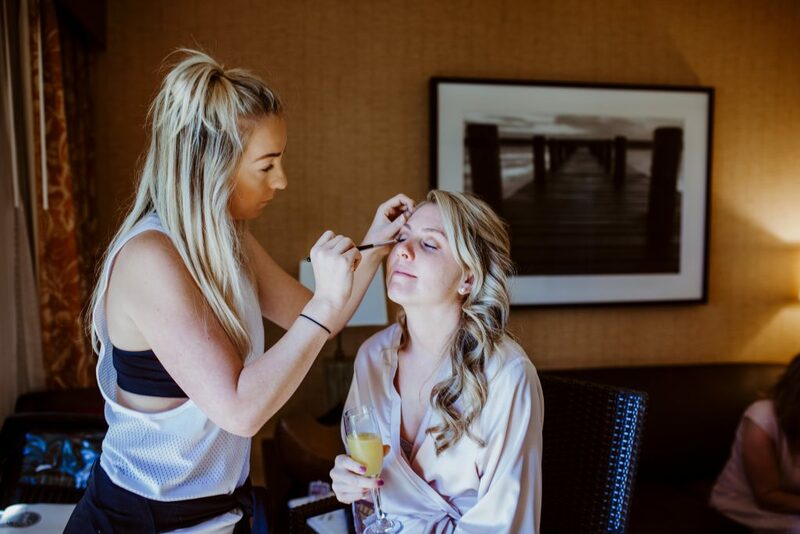 The only thing that we had to be sure was right was the fact that she had a big bridal party (approximately 7 needing hair and makeup, including herself), and needed to be ready by 10:00am. 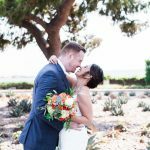 Hair and Makeup For A Morning Wedding? Under normal circumstances, this would be like a 4:00am wakeup call for hair and makeup, but one of the benefits of working with a beauty planner? Early call times are a thing of the past. I work to make sure that getting ready timing is smooth and there are enough artists on site to be sensitive to start times. So for Jen’s wedding, I had 3 artists on site for hair and makeup and all the ladies were ready within 3.5 hours.